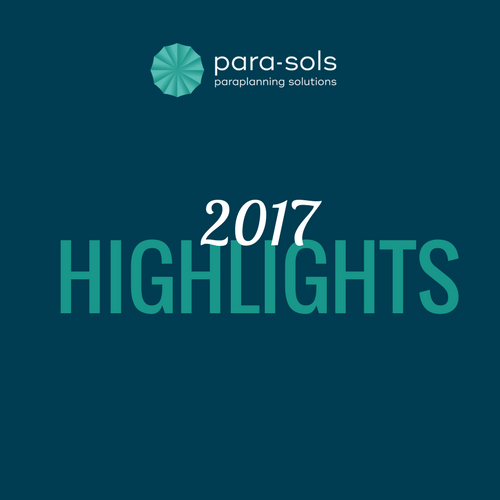 2017 was a pretty momentous one for us at Para-Sols – we deem it, ‘our year of growth’. It’s the year we invested a huge amount of time and resource on improving our infrastructure. The year we immersed ourselves in a bigger vision – one that would serve the whole profession. Quite simply, it’s the year the business took flight and moved into its next stage of growth whilst remaining true to who we are. So on this dreary Blue Monday, we’re reflecting on everything we achieved last year as a team and are thankful for the support and patience whilst we’ve made the transition. In true proud-parent-style, here’s a snippet of just some of the many milestones that we achieved last year.